Camera tower photo. The booster has cleared the umbilical tower in about 4 seconds. 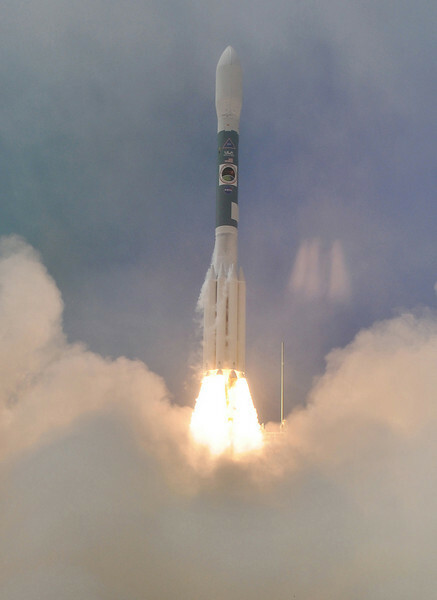 This Delta II has the core vehicle liquid propellant first stage lit and 6 of the 9 strap-on solid rocket motors lit. The solids burn out, the 3 remaining solids light in mid air, and the 6 spent solids are jettisoned about 1 minute 20 seconds into launch.